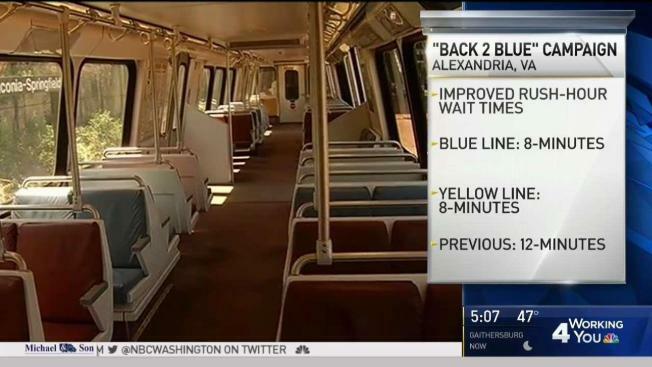 The city of Alexandria says things are much better now on Metrorail's Blue Line. The city on Tuesday launched what it's calling a "Back 2 Blue'" campaign to encourage residents to give the Blue Line another try. The Blue Line is of particular importance to Alexandria - the city's Braddock Road, King Street and Van Dorn Street stations are all on the Blue Line.